The California Housing Finance Agency, or CalHFA, provides mortgage and assistance programs to help Californians buy their first home. To take advantage of these loan programs, you’ll have to work with a participating loan officer. But how do you know which lender is right for you? NerdWallet compared many of CalHFA’s participating lenders, identifying the best ones for a variety of borrower needs so you can start your mortgage search with confidence. If you’d rather apply for a mortgage from your phone or laptop, these lenders have the digital tools to make it happen. Full online application and mobile app. Customized rates available without entering personal information. Offers FHA and VA loans. Has a history of strong customer service. Uses alternative credit data, such as utility bills and rental payment histories, to help you get approved. These lenders are willing to work with borrowers who need to overcome credit challenges. Minimum credit score is 550 for government-backed loans. Offers FHA, VA and USDA mortgages, along with several renovation loans. Website provides lots of educational info, including credit basics and a mortgage glossary. 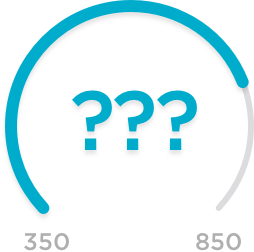 Minimum FICO score is generally 560, but can go lower. Offers FHA, VA, and USDA loans. Loan options for borrowers with past foreclosure or bankruptcy. Pairing CalHFA programs with a VA loan takes special expertise. These lenders have it. Manual underwriting incorporates nontraditional credit data. English/Spanish bilingual agents are available. Offers educational resources for military borrowers. Dedicated website for VA home loans with details on eligibility requirements. Interested in a home that needs a little TLC? A mortgage from one of these lenders can help you pay for repairs and improvements. Minimum credit score is 600 on FHA loans. Offers a variety of home improvement and renovation loans, including FHA 203(k) and USDA Repair Escrow. Considers some alternative credit data. Offers a “float down” interest rate lock. Provides up to $2,000 in down payment help through an in-house Homebuyer Grant Program. PreFlight program helps you prepare to apply. Offers construction-to-permanent loans and FHA 203(k) home repair loans. Unlike traditional banks, nonbank lenders can be a great option for credit-challenged borrowers or those looking for a streamlined mortgage experience. Minimum credit score is 580 for FHA loans, 620 for conventional. Has experience lending to borrowers with seasonal or part-time jobs, as well as multigenerational households. Live chat option on website. Offers FHA, USDA, VA and renovation loans. In-depth FAQs and a mortgage glossary on website for first-time buyers.